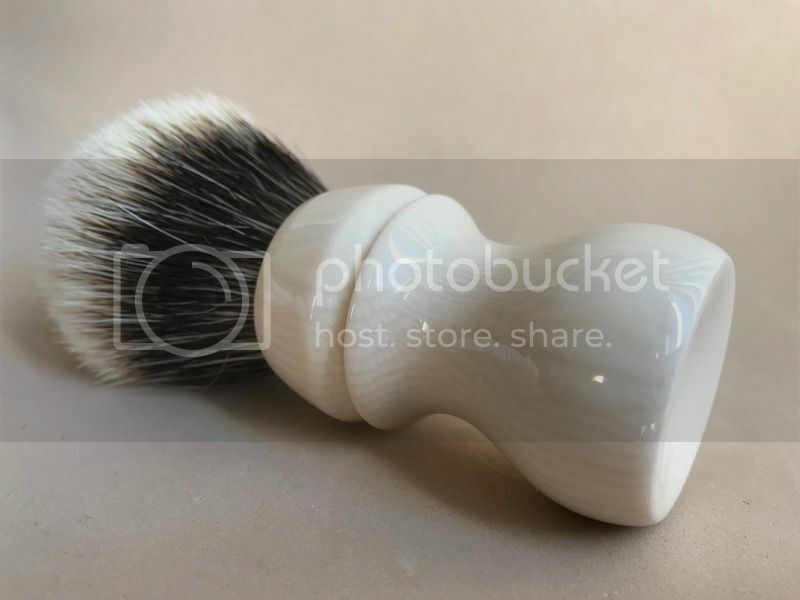 SOLD Custom Doug Korn D13 shaving brush made of new "HB faux grain Ivory" resin with a TGN Finest 2-band Badger knot with hooked gel-tips... see photos. The Custom D13 handle is 57mm tall. 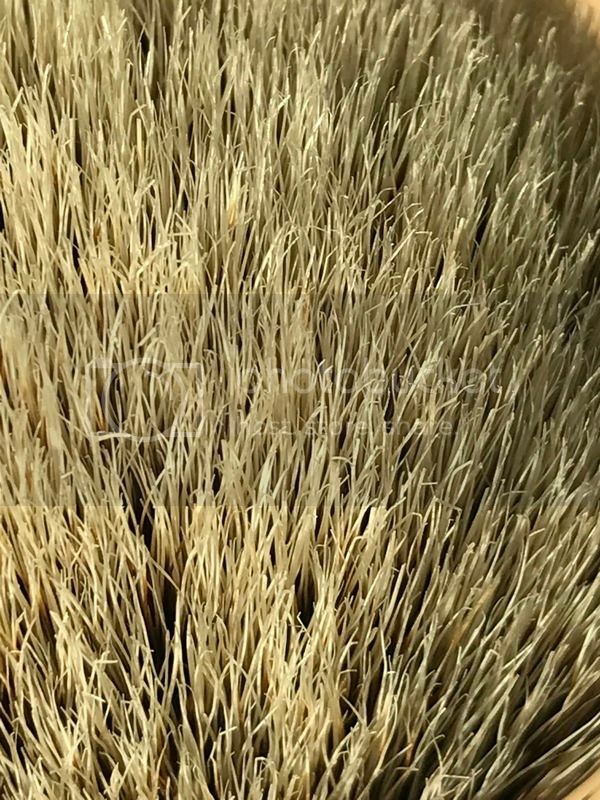 It is shown here with a TGN Finest 2-band Badger knot with hooked tips that should develop into nice soft Gel-tips with a little use. It is set at 26x52mm loft. That's a lovely grain ivory Doug. I am glad to see the TGN Finest returning to the what mad it famous. That looks like one from the past, one of my all time favorites. 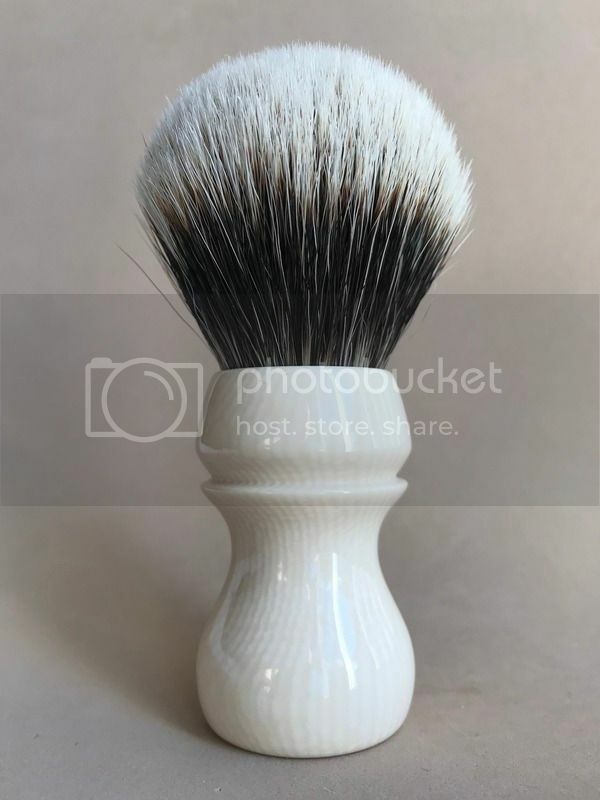 (11-06-2017, 03:09 PM)TheLegalRazor Wrote: That's a lovely grain ivory Doug. (11-06-2017, 04:25 PM)Sevenbark Wrote: I am glad to see the TGN Finest returning to the what mad it famous. That looks like one from the past, one of my all time favorites. Doug, that is a real stunner! (11-06-2017, 08:37 PM)Dinder1 Wrote: Doug, that is a real stunner!